Gymnastics is a sport for everybody regardless of age, gender or ability. It is the perfect activity to prepare children for long-term participation in sport and develops vital life skills. It promotes an active, physical lifestyle and develops fundamental movement skills. Gymnastics is one of the oldest Olympic sports and is considered by the International Olympic Committee to be a Tier One sport, along only with Athletics and Swimming. Gymnastics is also one of the World’s largest and most popular sports. Strength, flexibility, agility, coordination and balance are the sport’s core components and participation in gymnastics also develops confidence, creativity and leadership, not to mention a healthy body and mind. 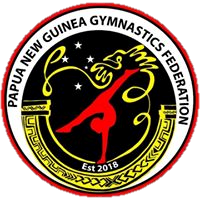 There are eight Disciplines or Gymsports under the umbrella of Oceania Gymnastics, each with their own gymnastics movement style and governing rules. Acrobatics, Aerobic Gymnastics and Gymnastics for All. There is a Gymsport for everyone, with a range of pathways and programs which develop incredible skills for fitness, performance, competition or simply to challenge oneself.